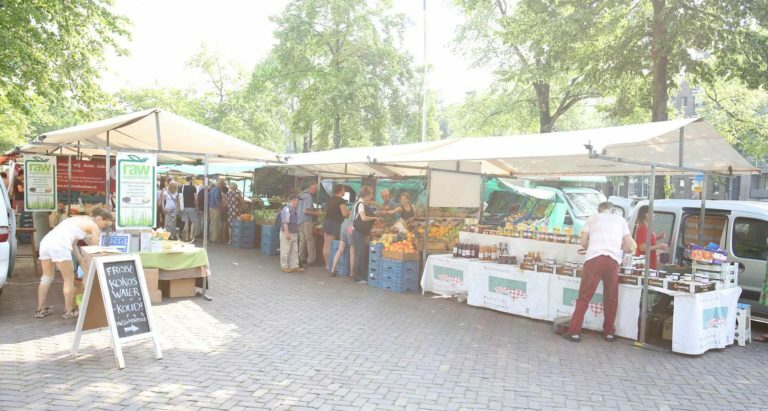 The Noordermarkt is one of Amsterdam’s oldest organic markets in the historical Jordaan neighbourhood, that happens every Saturday, rain or shine. It has a large and diverse assortment of food and products which include cheese, eggs, fish, bread, honey, spices, nuts, mushrooms, fruit and veggies, raw food, cakes, crepes, ceramics, flowers and much more. Come and enjoy the unique and lively atmosphere of this market.